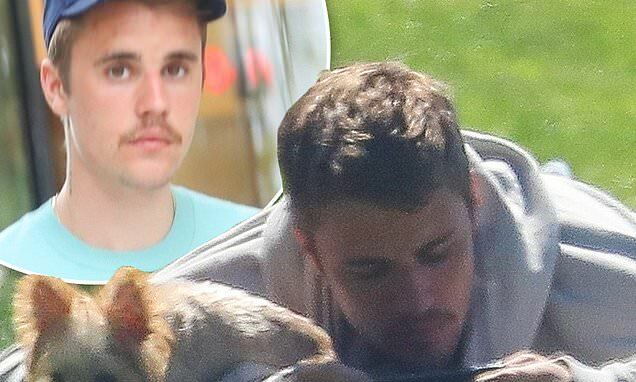 Justin Bieber was spotted relaxing with his dog in a Southern California park in images that surfaced on Sunday. The Sorry singer had on all grey as he looked at his phone while his tiny pooch stood guard. This comes just as it's been reported that the singer is to blame for the closure of an Icelandic canyon. The tiny pup stood next to Justin who relaxed chest down in a grey hoodie. He spread out on the greenery with a visor and bag at his side. Busy with his phone, Bieber ignored the dog, who looked content nonetheless to be out of the house. This chill park day took place at the same time that Justin was put under fire for negatively affecting a nature spot in Iceland. According to People, an Iceland canyon was recently closed to the public thanks to worries that the beautiful spot would be harmed by an overflow of visitors to the area. The influx took place after Bieber filmed a music video there in 2015. The Environmental Agency of Iceland announced that Fjaðrárgljúfur, which was visited by Bieber in his I’ll Show You video, will be closed to the public until June. Being the influential guy that he is, the rise of tourists to the stunning mountainous region is believed to have been brought on by Hailey Baldwin's husband, as before, it was apparently nowhere near as popular.